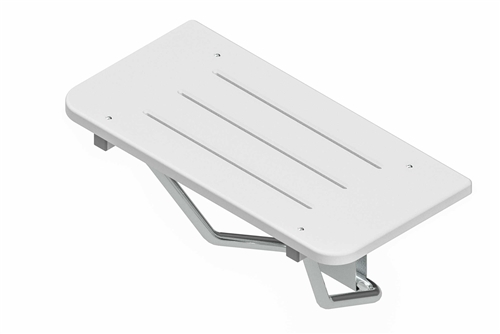 This fold-down rectangular shower seat is 28.5 inches wide by 15.5 inches deep with a 1-inch thick white high density polyethylene (HDPE) Sanalite� deck with drain slots. The seat flips up and out of the way when not in use. The seat has been load tested to over 400 pounds, which well exceeds ADA weight requirements. 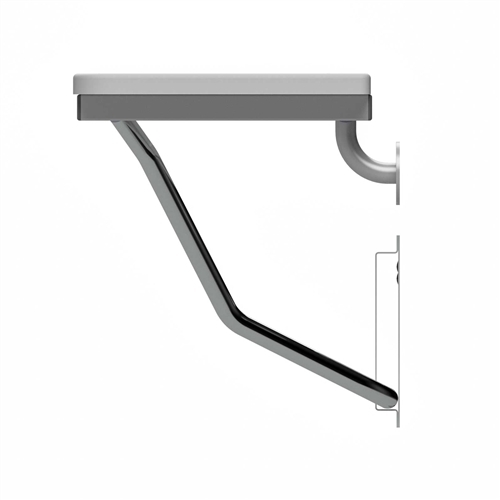 The tubular components are fabricated from brushed satin Type 304 Series stainless steel. The mounting flanges are 7 gauge Type 304 satin finish stainless steel with three mounting holes. The seat comes fully assembled and does not include fasteners as every installation is unique. 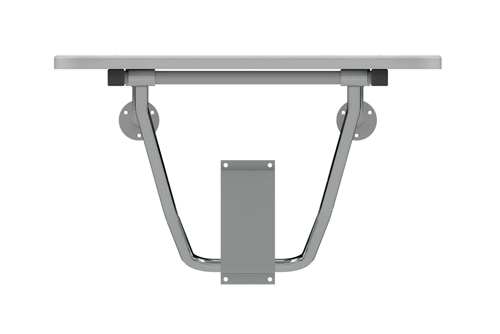 Professional installation is highly recommended as the integrity of the seat is determined by the anchoring devices and wall area to which it is mounted. Consult local building codes for compliance.